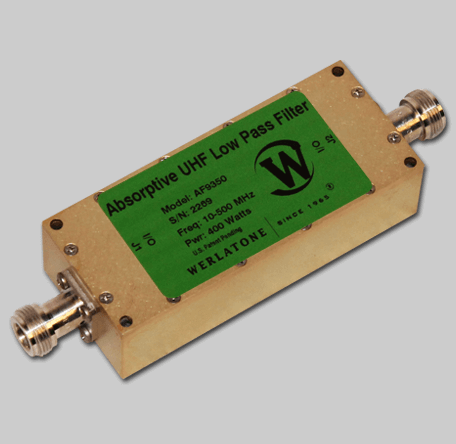 Werlatone introduces its new line of High Power Absorptive Filters. The Model AF3950, a 500 MHz Low Pass Filter is rated at 400 W CW in-band, and provides 45 dB minimum rejection from 750-3000 MHz. The AF9350 absorptive filter terminates out-of-band energies at power levels up to 25 W CW. This rugged, compact design is ideal for military and commercial applications.